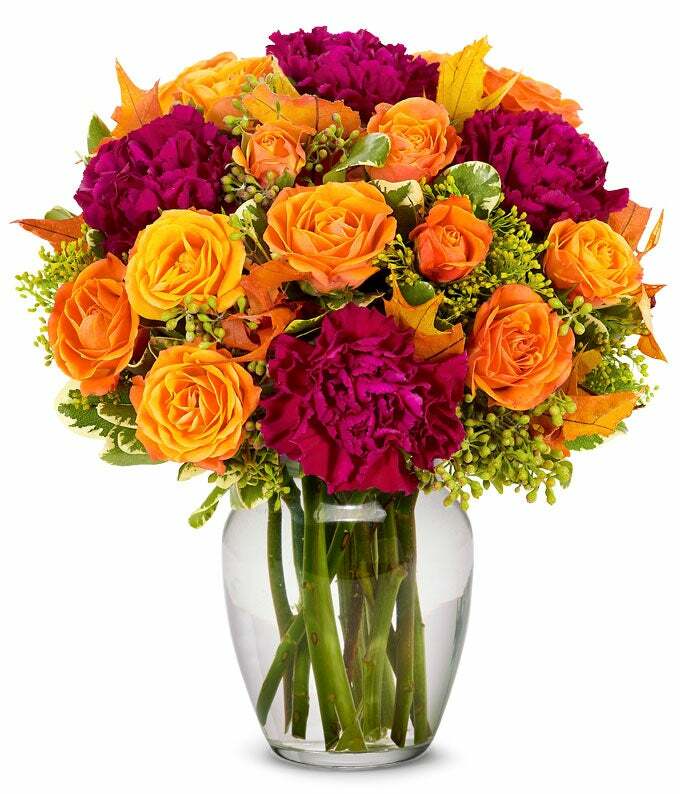 Send your love and best wishes with this fabulous bouquet of orange spray roses, magenta carnations, solidago and eucalyptus. Hand crafted by one of our top local florist in a clear glass vase, this bouquet is perfect for any Autumn occasion. Measures 13"H X 9"L.